Croatia is one of the most beautiful countries in the world. The beauty of the country lies mostly in the intact nature, crystal clear sea and the mild climate. But this is not all there is to Croatia. Beside many festivals, there are many events as well. You can find a portion of those events we think are worth visiting. There are events in the continental Croatia, in the cities of Zagreb, Varaždin and more, and in the coastal Croatia, in the cities of Split, Zadar, Pula, Umag, Dubrovnik and many more. Don’t miss an opportunity to explore at least some of these amazing events. If You choose to do so, Taxi-Zadar.Biz will provide quality service and comfort during Your ride. Most of events in Croatia will be occuring from March until October, so our primary focus is, of course, on those events. 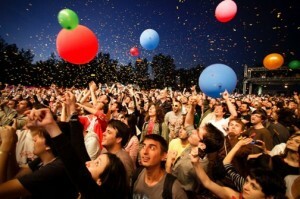 You can find most of events occuring in big cities such as Zadar, Split, Dubrovnik and others. Split is, for example, the host to the regions strongest boat show – Croatia Boat Show which is actually three fairs in one: CBS, Nauticus Show and Split Auto show. On this event, You can find the newest models of yachts, sailing boats and equipment. The next event You might want to catch in Split is the Festival of Flowers, held in Diocletian’s Palace at the beginning of may. It’s a gorgeus visual effect You ought to see if You’re in Split around that time. The Split Summer Festival is an event You definitely shouldn’t miss. 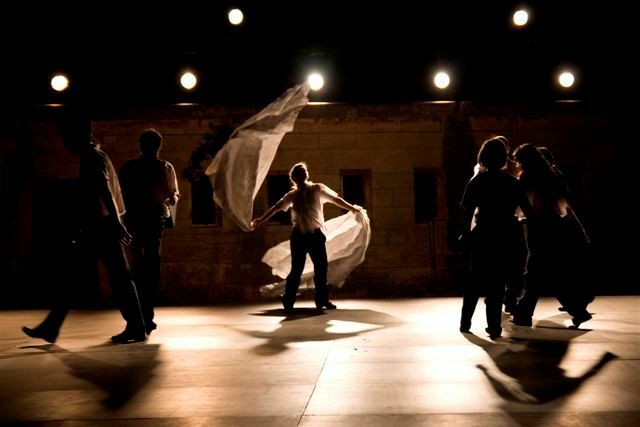 It runs for a whole month – from mid-July to mid-August and features open-ar theatre, music and dance performances at various venues around the city including the famous Diocletian’s Palace. 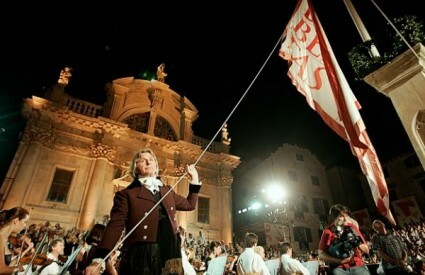 In the beautiful city of Dubrovnik the famous Dubrovnik Summer Festival is held. It starts mid-July and runs until the end of August. 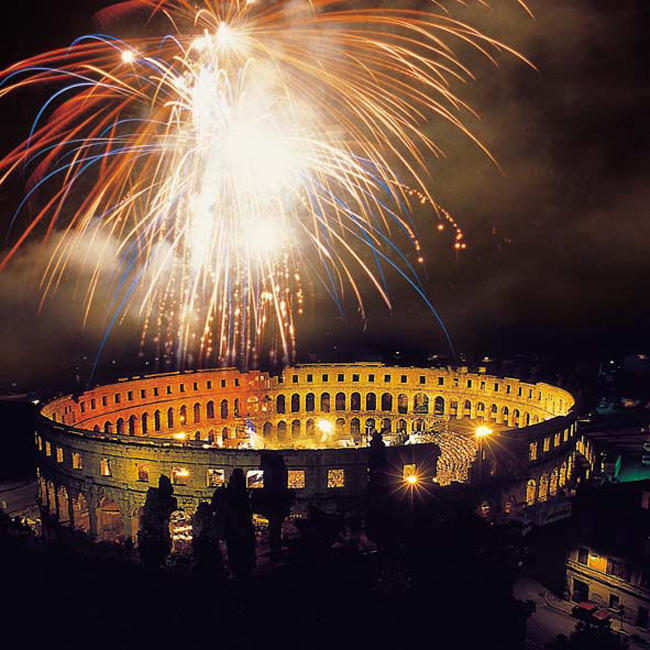 This spectacle includes theatre, opera, music, dance events and more, on open-air venues in and around the city. The Full Moon Festival in Zadar is an event You shouldn’t miss. It’s held at the end of July each year. Locals will turn off their lights and head to the candlelit waterfront to enjoy music and food You can buy from nearby stands. While in Zadar, You might stick around for the 6th Millennium Jump at the end of July in which the locals (and You, if You’re willing) will gather on the waterfron to jump at the same time. Around 1,500 people participate each year. Small event, but fun to join if You’re there. 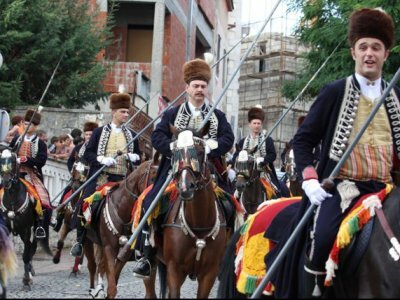 If You find Yourself near Split, or Sinj to be exact, at the end of August, a world-famous and historic horseback tournament takes place for the 296th year now. 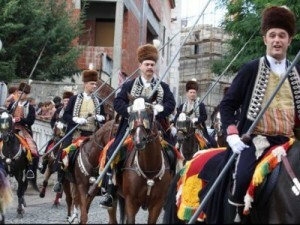 It’s called the Sinjska Alka in which the competitors on horseback, armed with lances aim to hit the small metal ring. The Sinjska alka is in UNSECO Intangible World Heritage List and is a spectacle You should see. If You decide to go on Your vacation in September, don’t worry – there are plenty events even at that time. In Dubrovnik, the Julian Rachlin & Friends festival of chamber music featuring world-renowned musicians lead by Julian Rachlin is held. 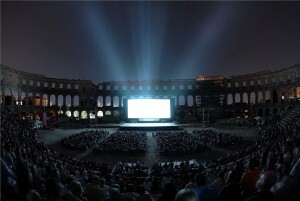 The Split Film Festival is also held in September – from 15th to 22nd September, and it shows new films from across the world. This region is, like Dalmatia, rich with events, festivals and more. We bring You some of the most prominent among them. There are many more besides listed ones, and You should definitely visit them. Taxi-Zadar.Biz will take You to any of these, and more. Some of the best festivals held here in May include the Vinestra exhibition in Poreč which allows wine-lovers to come and sample local vines and specialties. The exhibition features over 100 exhibitors. You may run into the Summer Sensual Days, which take place in June in Rovinj and feature top artists in workshops, beaches and pool parties. The Croatian Summer Salsa Festival is also held in June, in the beautiful Rovinj. Dancers and lovers of Latin music are most welcome on this festival. If You don’t count Yourself as a dancer, don’t worry, many workshops can teach You dancing in different techniques with top dance instructors in the world. 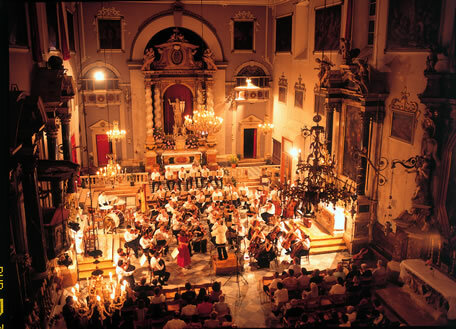 Poreč Summer will feature wide variety of events, music, dance and much more. Be sure not to miss it. Also, don’t forget some of the festivals we mentioned here, in the beautiful town of Novalja and famous beach Zrće. 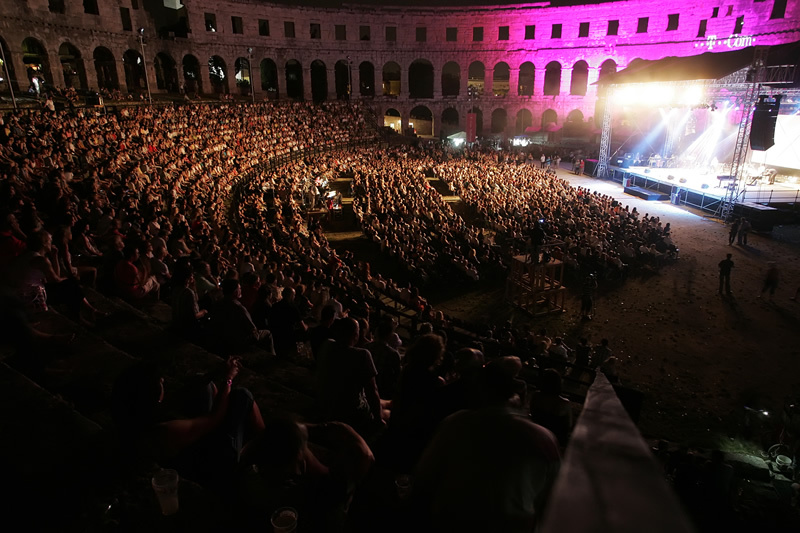 Some of the most prominent events in July are: Pula Film Festival, now in its 59th year, is the oldest of its kind in Croatia and is held in one of the most spectacular open theathers in the world – the amphitheatre (the Arena). 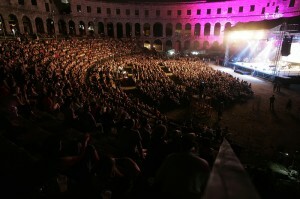 Liburnia Jazz Festival in Opatija is the largest jazz event in Croatia. Be sure to visit it if You’re a jazz fan. One of the events worth mentioning is Kazalište Ulysses, or Ulysses Theatre which was co-founded by Rade Šerbedžija, whom You might recognize from his roles in major movies. The location of this theatre is in Veliki Brijuni island (of the National Park Brijuni). If You love movies and picturesque towns surrounded by beautiful nature, Motovun Film Festival is an event You just must visit. Motovun is a very small hilltop town in inland Istria and the event itself is considered one of the best in Croatia and the region. 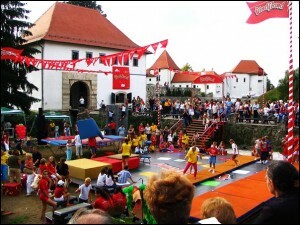 The Street Art Festival in Poreč is held in August and features dance, art, acrobatics and more. 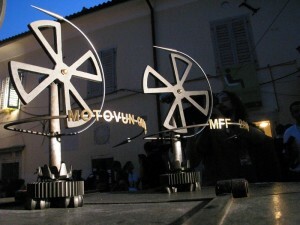 Liburnia Film festiival in Icici near Opatija is also taking place around the same time, so feel free to visit them both. 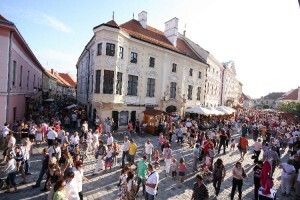 There are plenty of events in inland Croatia as well, mainly in the capital city of Zagreb. Some of these events are unique and well worth Your visit. For example, if You’re in Zagreb during March, You might want to stop for Zagreb Dox, international documetnary film festival taking place in MoviePlex in the Kaptol Center with several themed programs and the competition for best documentary. 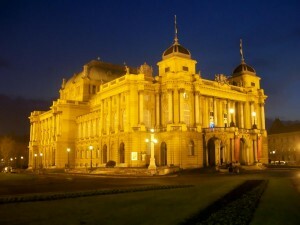 If You’re a wine-lover and in Zagreb in April, be sure to check Zagreb Wine Gourmet Weekend out. 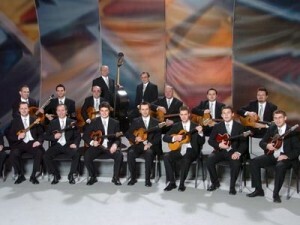 It’s a three day event held in Glyptoteque Musen in the Upper town. As You might have guessed, most of famous croatian events during the summer is held in locations on the coastline, but for those who find themselves around the capital city in June, there’s an event we’ve already written about – INmusic Festival, music event featuring many famous artists. Speaking of music and summer – Red Hot Chili Peppers are going to play on the Hippodrome in Zagreb in August. 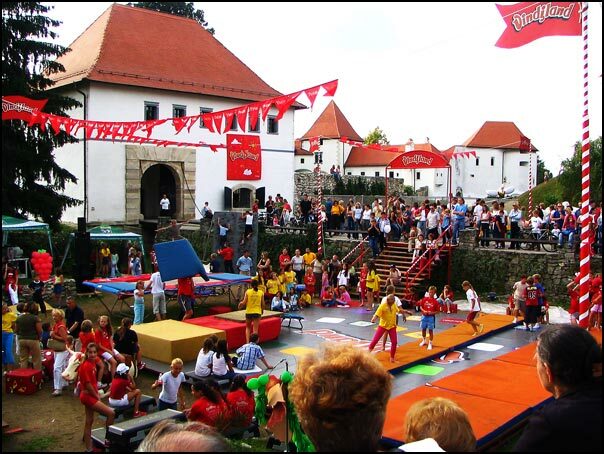 You should also check the Špancirfest out. Held in picturesque baroque city of Varaždin, one of the most interesting tourist attractions in inland Croatia, the festival features various concerts, street artists and performers and much, much more. 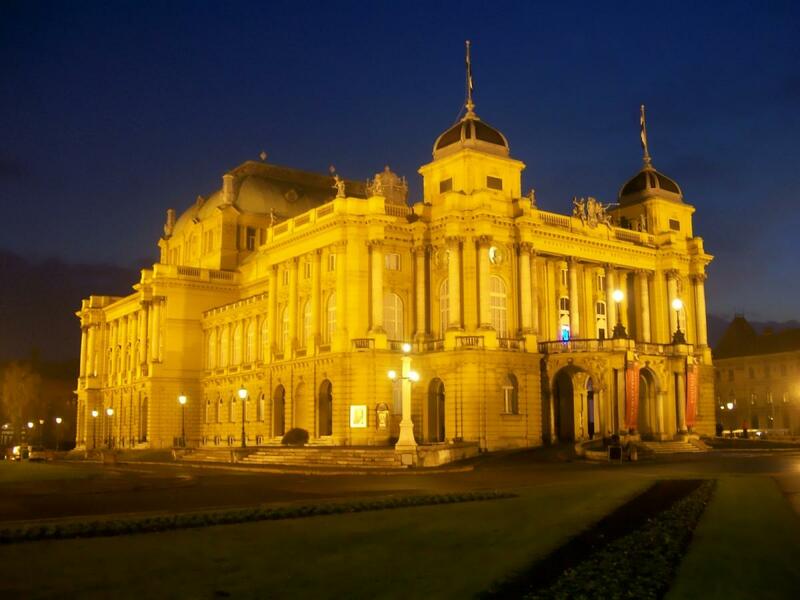 If You prefer chamber music, films and similar delights, You might like the Zagreb International Chamber Music Festival, event that attracts a number of great artists who play in various classical concerts in October. 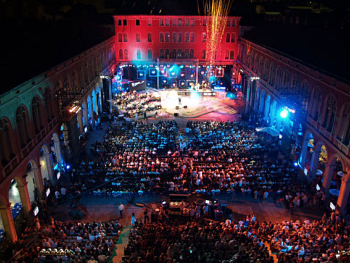 The Zagreb Film Festival shows films from new film-makers frmo around the world with awards in several categories.